Gravy was a fanzine that Kary Cousineau and I started in 1994 in Montreal . Gravy featured tons of interviews with bands, reviews, articles, and some comics too. We interviewed the likes of New Bomb Turks, Jon Spencer Blues Explosion, Guided by Voices, Supersuckers, Electric Frankenstein, Teengenerate, Lazy Cowgirls, Melvins, Sebadoh, Helmet, The Smugglers, Devil Dogs, The Muffs, Murphys Law, Wayne Kramer, ’68 Comback, Royal Trux, Tad, The Dwarves, The Humpers, Nardwar, The Makers, The Makeup, Elvez, Southern Culture on the Skids and many more cool bands and artists. Gravy was made possible by our dedication, passion and perseverance, and with the help of many friends and local music scene contributors. The first 4 issues were cut and paste and photocopied in the 8.5×14 folded format, and featured glitter that was applied by hand on the logo. The 5th and final issue was printed in a regular magazine format, with a 2-color cover. Sometime around 2001 I started Gravyzine.com. The online zine was a continuation of Gravy fanzine but in a website format. 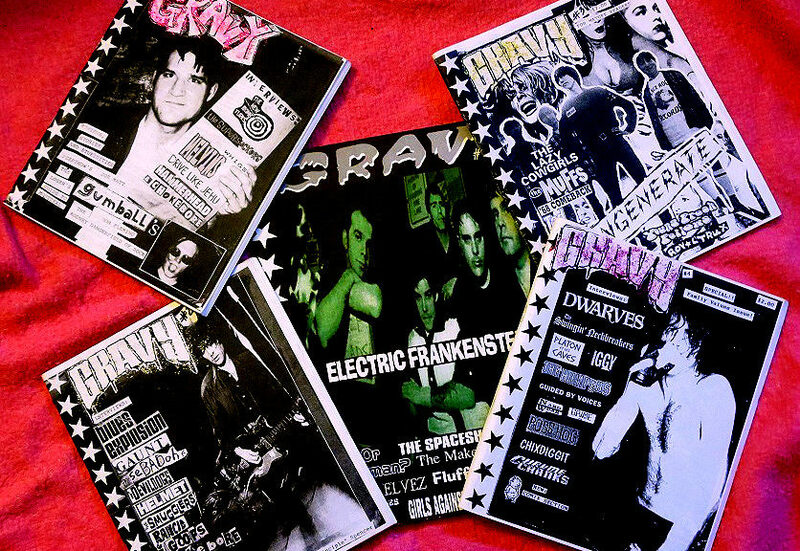 Gravyzine features interviews with bands, artists, other personalities, and reviews. Some great interviews were with Lux Interior, Jay Reatard, Fu Manchu and many more bands and artists. Gravyzine had the help of a few contributors in the reviews section, but the interviews were done by me and Ian Pickens. This site remains static and will remain as is for the time being. This site, Gravyzine2.com, is a new beginning for Gravyzine, freshly started in 2016 by me, a continuation of the old site in a new website/blog format. This site will feature interviews and articles of musicians, bands, various artists, and reviews mostly. Please enjoy it!